Manikins are important tools for art instruction and for learning and practicing sketching. This dog manikin is an excellent instructional tool that can be used for drawing or sketching. It is proportioned similarly to a real dog and is a great option for figure sketches. 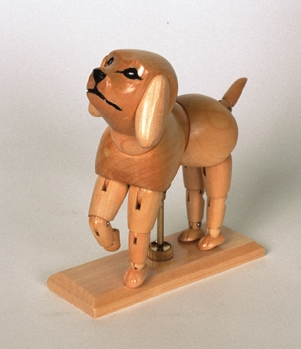 The legs, neck and other joints of the manikin are adjustable to display the dog in different natural positions, and it is constructed from high quality hardwood for durability. This manikin will last for several years with the proper maintenance, and is a great addition to any art instructor’s set of manikins. It can also work as a nice decoration for art classrooms, studios, or offices.